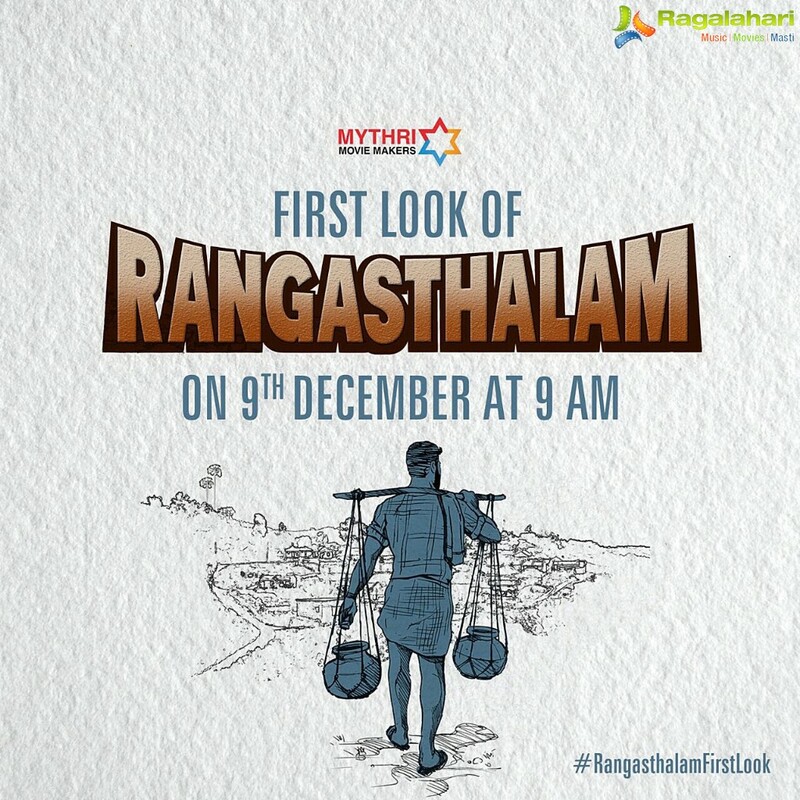 The makers of Mega Powerstar Ram Charan’s much awaited film ‘Rangasthalam’ have announced that the first look of the film will be released on December 9 at 9 am. The announcement was made through a poster. Ram Charan is the hero. Sukumar is directing this romantic drama. The film that also features Samantha in the female lead along with Aadi Pinisetty, Jagapathi Babu and Prakash Raj in major roles is being bankrolled by Mythri Movie Makers. Pooja Hegde will be seen in an item number. Devi Sri Prasad is scoring the music.